Contact information can be some of the most useful data to export and share with others, and a comprehensive address book can be amongst some of the most important data a user gathers over time. The Mac makes exporting contact information from OS X Contacts app very easy, so whether you want to share and export the entire address book or just a single contact card, that can be done quickly. 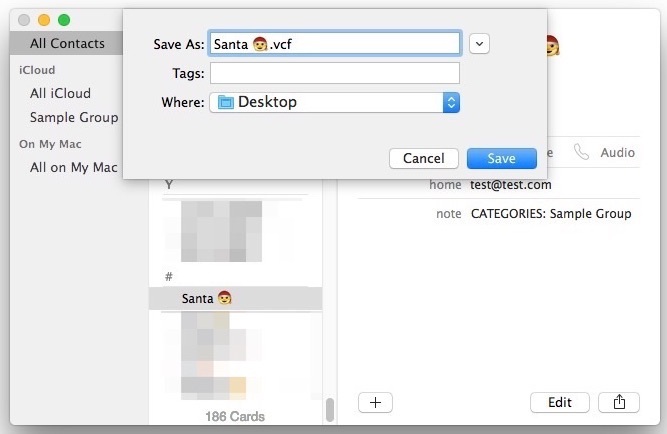 Exporting contact information from the Mac Contacts app can also function as a way to back up saved contact information into a single vCard file or .abbu file, which can then be later imported into a different address book application, another Macs Contacts app, or just stored elsewhere as a backup. With the latter situation, keep in mind that if you use iCloud in OS X and iOS, the Contacts will backup to iCloud by default, which means that using the export function as a backup would either be a supplemental backup, or an alternative means of backing up if that feature was disabled for some reason. Entire exported contacts lists are generally quite small and efficient, for example, a book of 500 contacts or so will be a couple hundred kilobytes, making it easy to transfer as needed. A single exported contact will have the same icon as an entire address book of contacts, but the file size will be smaller. You can use the multiple selection key trick to export a group of contacts, a few contacts, or a bunch of contacts, there is no limit on the selection count. You can also choose to “Select All” and then use these selection keys to unselect contacts to exclude from an exported contact list. Whether you exported all contacts or a single contact, now that the file is saved (let’s assume it’s a .vcf vCard file since it’s the recommended format to export), you can email it to someone directly, email it to yourself in Gmail, Yahoo, or Outlook at a secondary backup, upload it to DropBox, save it to an external drive, or do whatever else necessary. 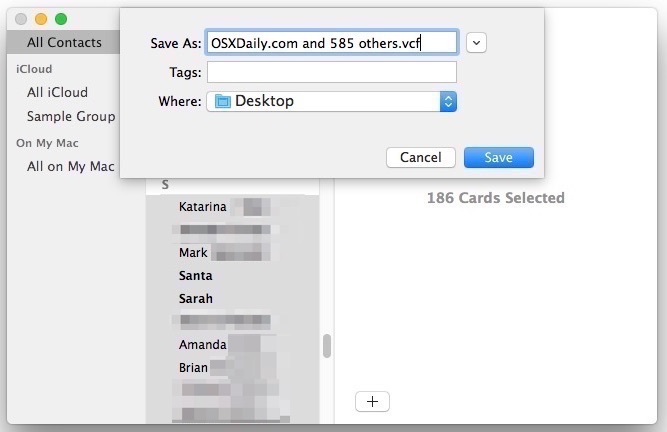 The great thing about a vCard file is that it’s nearly universally compatible, you can easily import the file into any other Mac Contacts app simply by double-clicking it, and if you email that vcf file to any other iPhone, iPad, or iPod touch, to import the contacts to that device too, without ever having to use iTunes or the same iCloud for that device. That situation works basically the same for emailing the vcf to a Windows or Android phone too, which will also recognize the contact data and offer an option to import it to those devices. Direct Contacts app exporting is limited to the Mac, but as mentioned earlier, if you use iCloud with OS X and iOS, then the same contact information will be stored within iCloud as well. This makes the contact information sync automatically to any other iOS device using the same Apple ID, but another benefit to that is you can actually export the same Contacts information directly from iCloud using any web browser, which can be handy if you’re not around your Mac or iPhone with the information you need. Using iCloud that way also offers one of the easier ways to export a vcf file of contacts backed up from an iPhone, and you can also import a vcf file from the iCloud website as well, which can be particularly beneficial if you’re trying to recover a deleted contact that you now need. The approach outlined above obviously covers modern versions of Mac OS X with the “Contacts” app, including El Capitan, Yosemite, Mavericks, and Mountain Lion, but if your version of OS X is older, you’ll find a similar method from Address Book app, except that the prior versions of OS X will be limited to saving an .abbu file without offering the preferred .vcf vCard format. That basically means you’d either need to convert the abbu file to a csv or vcf to import it into alternate OS’s, otherwise you could import that saved abbu file into a modern version of OS X Contacts app, then re-export it again with the above directions to a vCard file. How can I print a copy of my contact list ? Just select the card or cards you want to print, use File/Print and there is a Style attribute in the print window; Envelope, Lists, etc. To print a contact and/or multiple contacts select the contact(s) then CTRL-P or FILE-PRINT. It will bring up the Print Window, from there you can select 1 of 4 options; Envelopes, Labels, List or Pocket Address Book. From there you’ll find an Attribute List to modify printed information. Hope this helps! 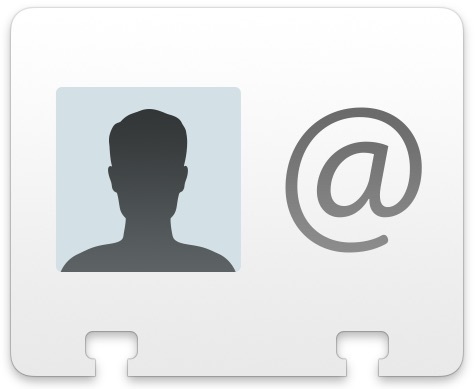 A quick way to export one or two contacts is to left click on the contacts name in the contacts app, and drag them to the desktop. Then the file can be used as needed. It’s the same as exporting, only quicker. I use this a lot to email my colleagues new contacts as I’m adding them to my contacts list. This won’t affect the contact it will still be in your list. I wish there was a similar article on how to extract all-notes from “On My iPad” and then move them to the iCloud.. Sorry for the shameless plug, but you can do this many other things (export to excel, csv, MS Outlook etc.) with my contactssyncer app (www.contactssyncer.com), which is available on the app store. BUT how do I IMPORT contacts from my OSX10.6 computer to Yosemite contacts. That is the problem, that you are ignoring. This is an article about exporting contacts from OS X, it works in all versions. You’re a grump, nobody is ignoring anything. Shall we talk about making a pizza here too? Any other off topic discussions to be had? Importing the pizza into my belly from OS X? What’s really great about this is that is that you can seriously customize what’s exported and Create templates for future exporting. 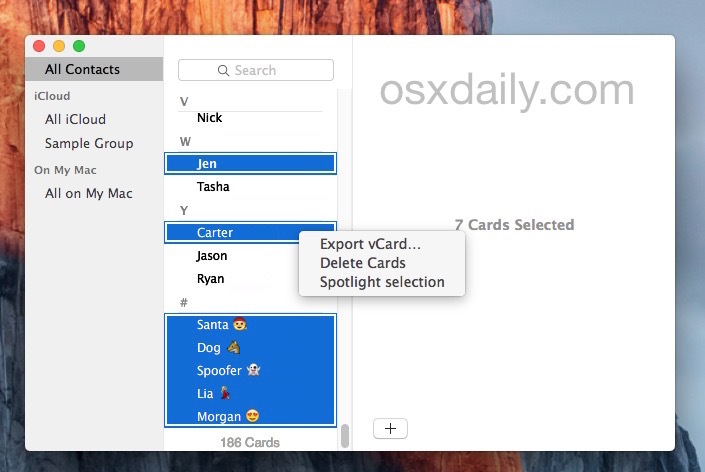 Although I think the author’s suggestion to export vCards is right on target. You’ll never be sorry having a text (or better yet excel file) with all this info. Good old tab-delim will always the most bullet proof since other formats constantly change, applications corrupt etc. Lastly, As someone who lost all their contacts (early in my computing) it was ironically a PRINT OUT that saved my years of data. When the lights go out – this is your only recourse – especially now that few people barely remember their own phone number. s Mac Address Book to CSV, and seeing all of the limitations of existing programs, I discovered a shortcut. This only pertains if you have a google account – free to set one up. 2) Go to the Google Contacts page. (You’ll be directed to go to the older version page). Simply find “Import” in the drop down menu, point to the file on your desktop and viola! 3) I had > 6,000 and it only took up 4 Mb on export (that’s with notes). It took Google ~ 1 minute to import. Then I searched for dups and merged them. 4) Check some of them against random cards to make sure the data’s correct. Is it possible to export all contacts but individually at once, so you have one vcf file per contact? Last year I could create labels from the names in my contact list that I wanted to send Holiday cards to FOR FREE…this year, I have to pay. Hmmm…I think I will take a nice hour out of my afternoon and put on my favorite classical music and just hand write the addresses. Tra la la la la, la la la la . . .